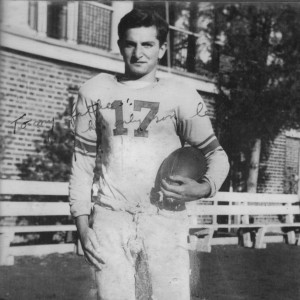 Ben Coren, Ed.D., was a 165-pound guard who played his position so well against many bigger opponents that he was honored many times during his collegiate football career by being named to All American and All Star teams. Coren is the founder of Indian Springs Day Camp. Ben Coren — sports star, coach and teacher. A man who used sports to mold the lives of future generations.